UPDATE: It looks like the code for today was accidentally labeled DayTwentyTwo instead DayTwentyThree. I'll go back and fix this as soon I have a chance. It’s time to continue our sub-series on persistence as part of the 31 Days of Android. Yesterday we went over Shared Preferences which is a method for persisting key value pairs. These can be only readable by your application, or you can open them up to reading or writing by other apps. Today we’re going to cover another method of persisting data, one that anyone that has programmed in the past is probably familiar with: file storage. 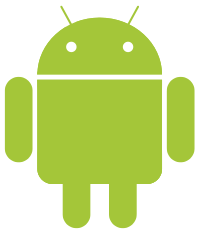 The Java language supports many different methods for file access, and these can be used in Android as well. There are two methods of file storage we’ll look at: internal storage and external storage. You can access our starter code here. When you run your app, you can click on the button which should write to the file, but you don’t have a way in the app to make sure it’s working yet. To do this, you need to use the DDMS perspective in Eclipse. After you’ve opened DDMS, select the emulator in the Devices view in the top left. Then in the main content window, at the top, select File Explorer. By default you’ll find all apps under /data/data/packagename. If you navigate to /data/data/com.daytwentytwo/files you should see a DayTwentyTwoFile. Using the buttons at the top right of that view, you can choose to move the file off of the phone to your computer, and back from your computer to the phone. Once you’ve copied that file to your local computer and open it, you’ll see that whatever you had in the EditText when you tapped the button made it into the file. It’s slightly more complex than the write was but here you’re opening up the file and reading it into a StringBuffer. Now when you run your app and tap the second button, you should see the text that was previously stored in the file loaded into the TextView at the top of the screen. Users will see that you app requires this permission when they go to install it. Next, prior to trying to access the external storage, you need to check its state using the Environment.getExternalStorageState method. This can return a few different options. If it equals Environment.MEDIA_MOUNTED then you should be safe to read and write. If you get Environment.MEDIA_MOUNTED_READ_ONLY then you can only safely read. If you get anything else, it isn’t safe to access the external storage. Once you know you have access, there are two locations it is acceptable to write files to in external storage: your app’s data directory and special public directories. Let’s look at your app’s data directory first. If you’re developing for pre 2.2 you won’t have access to the getExternalFilesDir method. Instead you must call getExternalStorageDirectory which will return the path to the root of your external storage. You are then responsible for writing files to your app’s data directory at the following path: /Android/data/<package>/files. So for the sample code, you’d write files to /Android/data/com/daytwentytwo/files. If and when your application is uninstalled, any files in your app’s data directory will be removed in 2.2 or greater. Similarly to the pre 2.2 issue we faced before, if you are using pre 2.2 and want to write to a public folder, you need to call getExternalStorageDirectory and write to one of the shared directories (so “Music/” in the previous case). You should now be capable of writing and reading files on your Android device in your applications. Remember that users can see how much space your app is taking up in user data. Furthermore they can clear it freely from the Manage Applications area of settings. Knowing that, and that anything can access and change files on external storage, you should remember that these files could be removed outside of your application. You can download the finished sample code from today here. So any app can delete all the files off my sd card and i'd never know it???? That is essentially correct. Provided an application requests (and is granted by allowing it to be installed) access to external storage, it can do whatever it wants with the SD card. Can i know how to rewrite/update the existed data without insert/add new value? Are you trying to open a file and overwrite the data that is in it as opposed to appending to the file? I have a question. When I use MODE_WORLD_READABLE, and MODE_WORLD_WRITEABLE, does that just mean that the file that is created has the User permissions set to -rw-? In other words, does any file with read and write access turned on, stored in internal memory, become readable and writable by any other app, despite the UID sandboxing? I mean, I've looked at a lot of files in my handset's internal memory, and most seem to have read and write turned on by default, which seems like a security risk. Hello Simon, sorry for the slow reply. I believe that is accurate. Another application / user might have to "find" the file but once they did, they could read / write it (depending on WORLD_READABLE / WORLD_WRITEABLE). Thanks for all this work. I am writing an app for our volunteer fire station and this series has been very useful. One quick editorial comment. the following text: "you need to check it’s state..." should read "you need to check its state..."
Thanks for the point. Updated. Thanks. Saved my life with this one! Very detailed and very easy to digest. Sir i want to write music file from raw folder and then play... any hints or code plz. I don't have any samples of doing that so I'd suggest searching the internet. You'll find it somewhere. This Seagate internal hard drive is great - affordable and reliable - http://www.amazon.com/dp/B0... My hard drive crashed and burned taking with it the last year of my life in photos and documents. We purchased this to replace my original harddrive which was the same size. Really very easy for beginner like me...thanks a lot...keep it up. If you're writing the file to the default app storage, it will be hidden away in the /data/ directory that you can't access unless your device is rooted. If you write it to external storage than you can choose the directory or there will be a similar, unprotected data directory. I am interested in the coordinates of the points where I touch the screen on my android device and want to use these for further work in my computer. Therefore, I need a way that I can access these from my computer. I have seen that I can print out the coordinates in Android Studio at runtime, with the device connected through USB. Is there any way that I can save these in my computer in the text file? I created a list and pushed all the coordinates into that, but am not sure where that is being saved and how to write that in a file in my own computer.